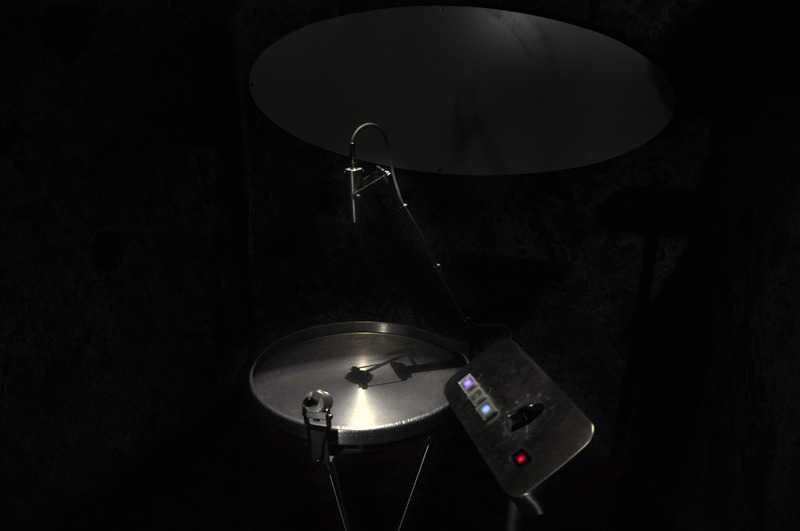 Installation explores cymatic phenomena ( for more info search Hans Jensen books). 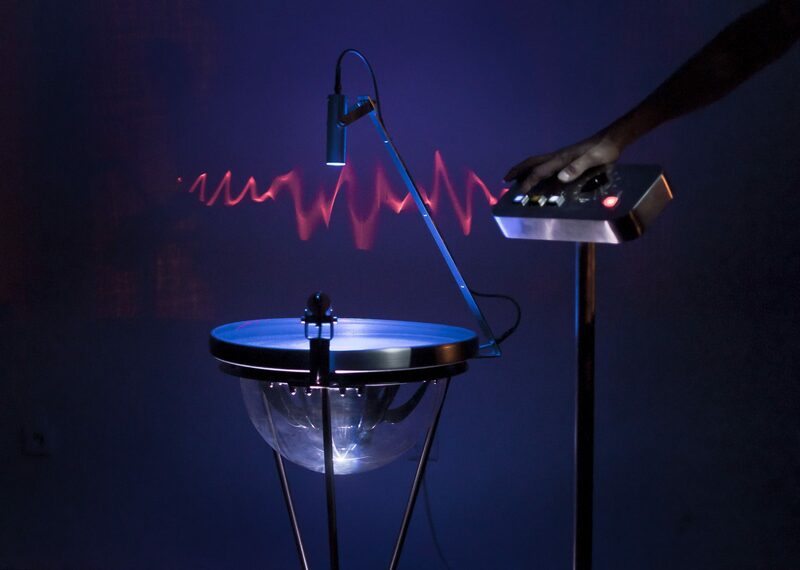 Synthesized sound is reproduced through 15”bass speaker placed below the aluminium bowl filled with water. Sound vibrations are transferred into the water vibration. 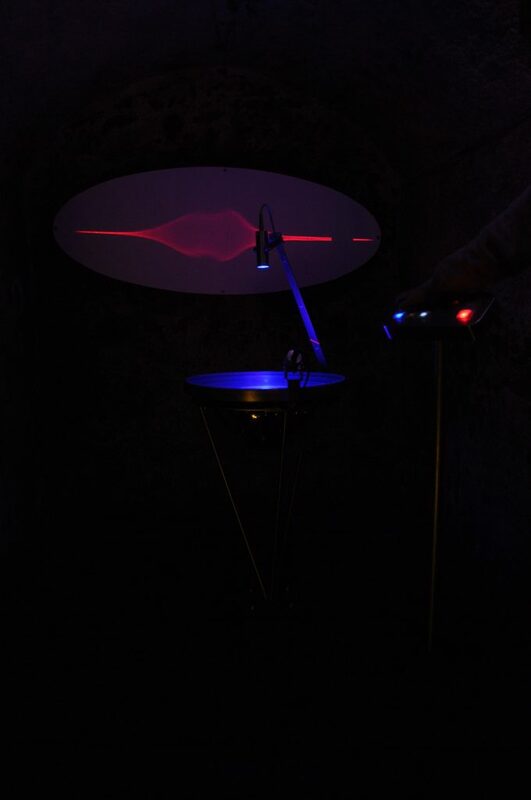 On the top of the bowl there is RGB led that changes color according to frquency and spectrum of the sound. Visitors can control these two values and explore the shapes in water or laser reflections. On control panel you can select type of the sound wave via illuminated pushbuttons. With the big knob you can tune the frequency of the sound. Fourth red button switches on the red laser line. The laser image is reacting on all vibrations in the water.